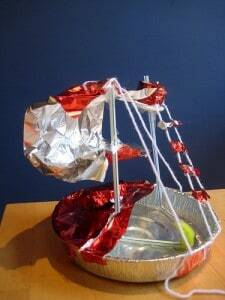 Shiver me timbers, have I got some fabulous pirate activities for you! 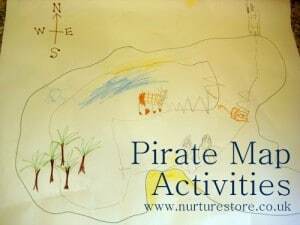 With ideas from Nurturestore and a crew of kid bloggers from around the seven seas, here are over thirty five ideas you can use with your little pirates. 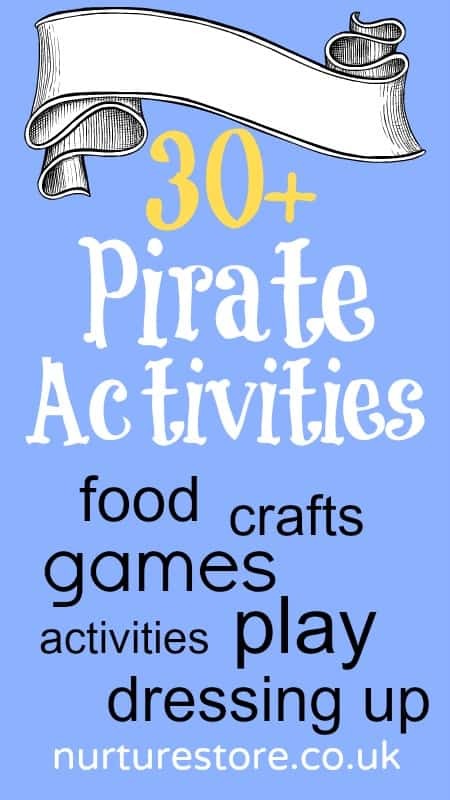 There’s everything for some pirate-theme play and learning – pretend play, food, dressing up, story telling, sensory tubs, writing, action games and more. 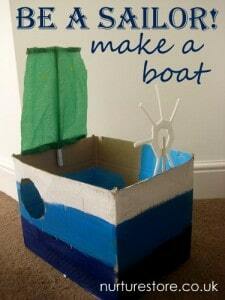 Click each link to to find out more and enjoy some fun pirate activities with your kids. 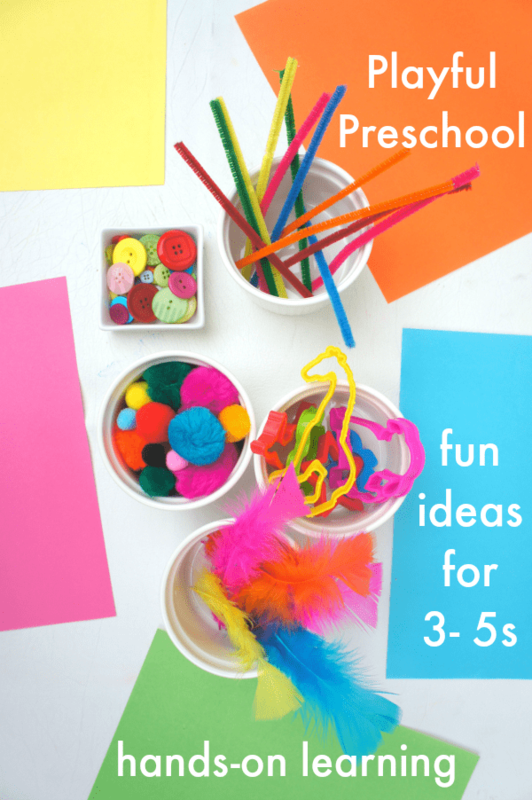 Our Three to Five: Playful Preschool resource is full of creative, hands-on learning, including math, literacy, science, art and play. Click through to take a look. Awe what a great pirate round up! Har haaarrrr. Will definitely be popping back here when we have our next Pirate Party! Thank you for including some of our projects, much appreciated! What a great round up!!! I love it!! Pinned it. Can’t wait to do some more pirate stuff with my son. Thanks for including us. Love these ideas! I’ve pinned them to my pirates board on Pinterest. Thanks for putting it all together and saving me a lot of searching! Ooh so much fun! I missed this one. I’ve got a “real” pirate ship and a trunk full of clothes but not one post about them! Inspiration, thanks! What a fab list. 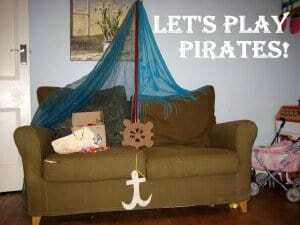 Pirate pretend play never gets old here. Thanks for sharing our ideas. I’ll be borrowing some ideas from this round up, too!